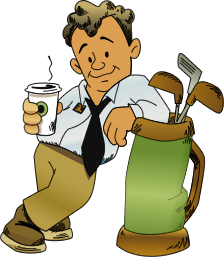 Choose the Promotional Binoculars to get a Better Sales Figure! 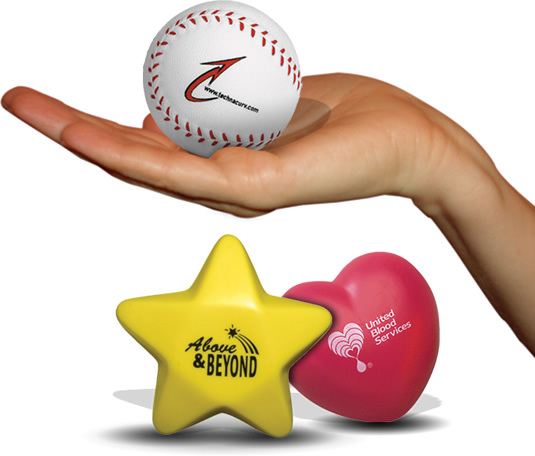 If your company is looking for outdoor giveaways, then the Promotional Binoculars can help you crack the market. Binocular advertising is important if you head a travel agency or sports company. 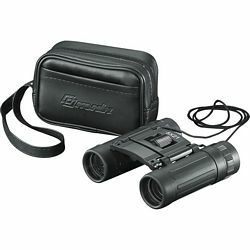 We provide black outlook Binoculars that your customer can carry to sporting events or outdoor games. The binocular magnification is 8 X 21. Field of view is 131 m at 1000 m. There are four sets of rectangular prisms. The customized binoculars are made of ABS plastic. Free 24 hour rush service is available on these Promotional Binoculars. 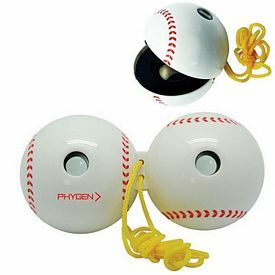 The promo Action Binoculars are made of durable plastic. 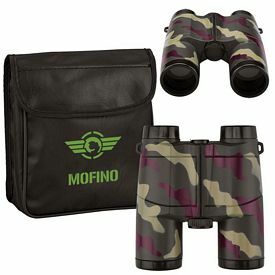 The custom binoculars come packed in a stylish PVC case with Velcro closure and nylon strap. The promotional binocular magnification is 5 X 30 mm. 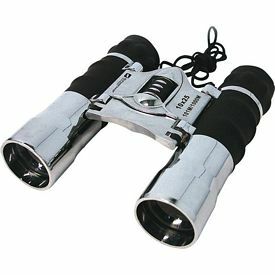 The imprinted binoculars are silver in color. 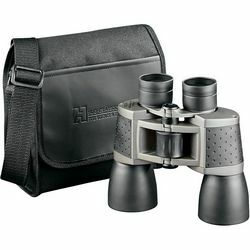 The Trailblazer Excursion set is one of the most exquisite promotional binoculars. 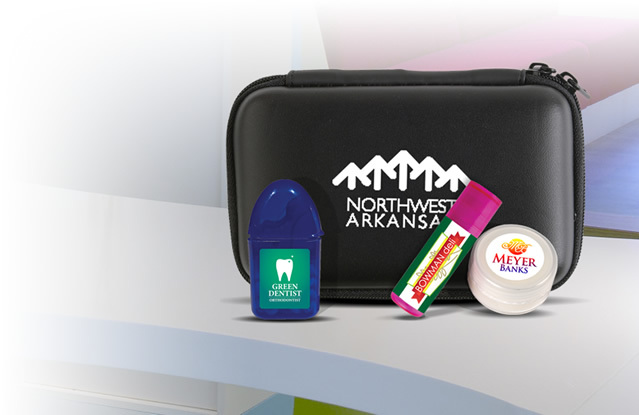 The four piece set includes a smart black Velcro case with shoulder strap. A customized carabiner compass comes along with the binoculars. The Mess utensil has a spoon, knife, fork, cork screw, and many other essential tools that customers might need during camping or an outdoor event. 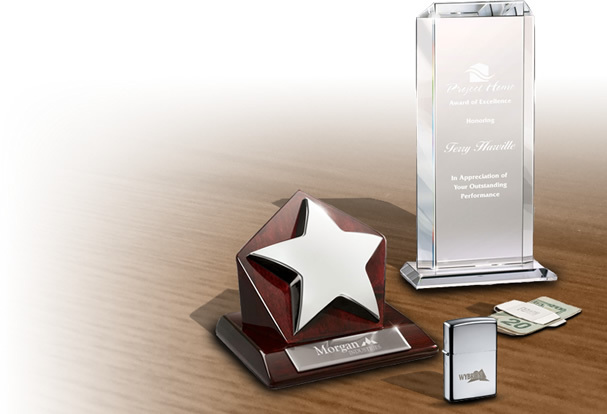 We will provide a one color logo imprint and artwork eproof without any additional cost. The promotional High Sierra Tahoo Binoculars are ideal for camping, hunting, hiking, and other adventure sports. The splendid waterproof ruby lenses make the binoculars more alluring. Field of view is 315 feet at 1093 yards. The stunning graphite-colored, customized binoculars have a 10 X 25 mm power multiplied by object diameter. The High Sierra Travel Sport Pouch is convenient to carry. 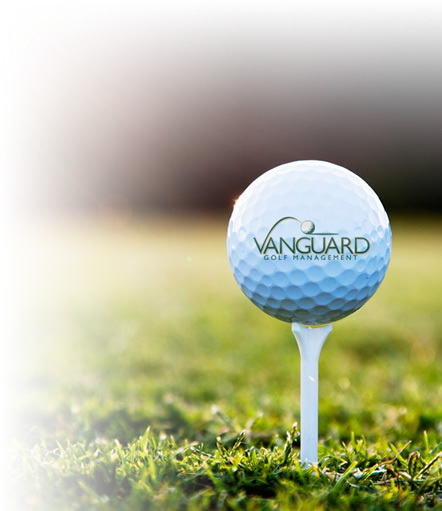 The color logo of your company will be imprinted on the center dial. We will give you free 24 hour rush service on our Promotional Binoculars. 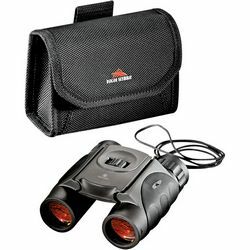 If you are interested in unique binocular advertising then try the promotional Panorama binoculars. 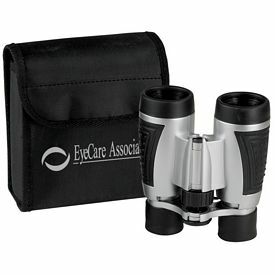 The exceptional Promotional Binoculars look sleek in black color. The 6000D polyester carrying case with a belt loop protects your logoed binoculars at all times. There are a lens cloth and the set includes a neck strap. We have coated the lens blue for glare reduction. The promotional Binocular magnification is 10 X 25 mm. The field of view is 101M per 1000M. The imprinted binoculars will have the company single color logo on the front flap of the carrying case. 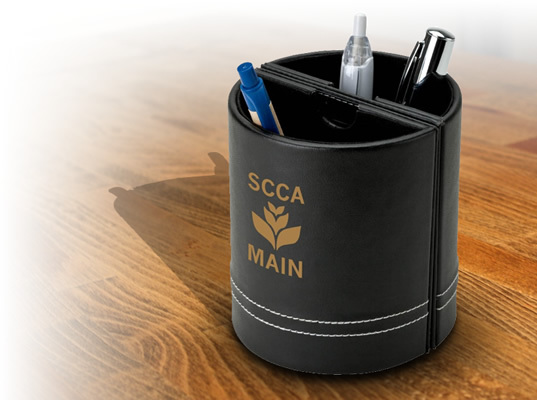 Pad printing or PermaPatch may be used for the logo and tagline. 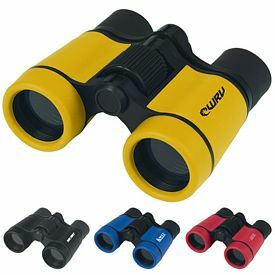 The In-Focus promotional binoculars can be bought as outdoor giveaways. The casing has been constructed in lightweight ABS plastic. The custom binoculars have a neck strap, lens cloth, and can be fitted into a black carrying case. The comfortable rubber grip aids in effortless handling. The binocular magnification is 12 X 32 mm. The customized compact binoculars has a binocular magnification of 8 X 21 mm. The blue coated lens is excellent for glare reduction. We provide the lens cloth, neck strap, and a protective PVC carrying case with belt loop. The field of view is 496 per 1000M. 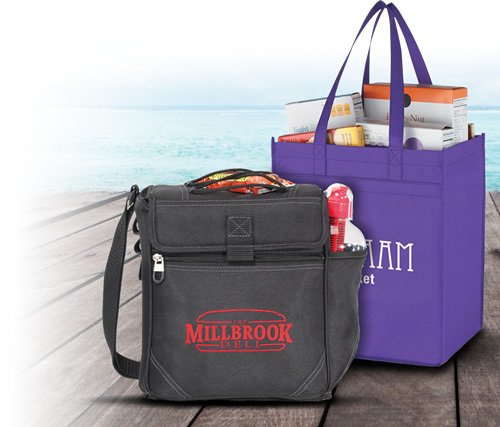 The compact lightweight design will delight your customers. The Black Honey Puck Binoculars can be used for hockey theme binocular advertising as well.